. Daunt said it was the brand's biggest campaign in Australia to date. 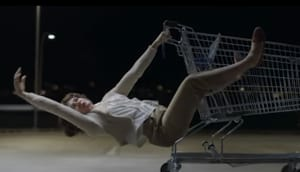 The 45-second ad, by BMF, shows a woman in an empty car park performing a dance routine with the help of her trolley. The voiceover says: "Australia's most satisfied shoppers three years in a row even though you need a coin for your trolley." The ad follows on from Aldi's Christmas campaign, which introduced the Tinkletons to Australia. Aldi's previous advertising efforts encouraged shoppers to 'stop and smell the savings', with a host of talking foods. 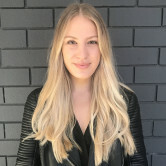 Aldi is launching its biggest brand campaign since opening its first Australian store in 2001, dropping its “Smarter Shopping” slogan for “Good Different”. The phrase aims to underpin all aspects of the Aldi business, from product sourcing to supplier relationships and the customer experience, Aldi CEO Tom Daunt told the Herald Sun. Daunt said it was the brand's biggest campaign in Australia to date.